Welcome to our collection of our general technical issues! In this thread you will find the most common issues regarding S4League and general billing cases. In case something is missing or you want to know about it in more detail, don't hesitate to ask a GM directly. S4 League can be downloaded from the site or directly from here. Make sure you are using Internet Explorer 9 or higher for playing a game from Aeria Games. It doesn't matter if your DEFAULT browser is different. You need at least windows Vista to run S4League. Windows XP isn't supported anymore. Note that windows Vista needs additional windows patches to be installed manually to receive the internet explorer option of TLS 1.2. Run the game through patcher_s4.exe. This is found in the 'S4League' folder. Run the game with administrator privileges. Allow the game through your firewall and your antivirus by adding the S4 League folder to the exceptions. Please ensure that you have Net Framework 3.5 or higher installed. In some cases, make sure you’re using a new client. Also, make sure the game is not in a maintenance. There is one every Tuesday unless stated otherwise. Please check the forum, discord and webpage when this happens. The official Discord can be reached by clicking here. These are the required game ports for S4League. If you encounter any connection issues or you find yourself and error message of a failed connection attempt, try to forward the game ports on your router. Run the downloader and installer with administrator rights. Even though the game is a little over 5 GB big, please ensure that you have more than 10 GB of free space in your C:\ hard drive. Do a registry clean with Ccleaner. 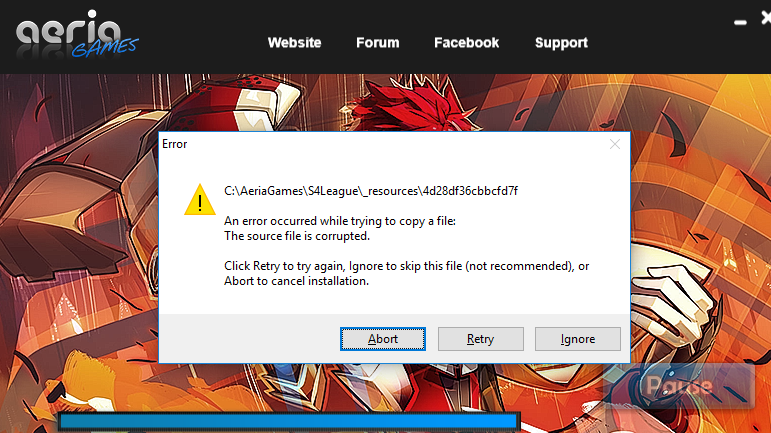 If the download bar is complete but no new window opens with the installer, go to the directory path "C:/AeriaGames/S4League_US" (if you kept it as your default download location) and run the setup.exe file manually with administrator rights. If the .exe file to install the game is 0 KB big, delete the .exe file and run the downloader again with administrator rights. In case none of the above suggestions regarding the download and installation of the game works, ask one of the GMs in a private message to receive an already patched game to download and directly start from. You can also create a new thread on the forum to further troubleshoot the problem. Delete the content of your backup folder and restart the patcher again. Keep on repeating that until you got all patches installed. It's also recommended to temporarily disable your antivirus security scans to reduce the likelyhood for this error to appear. In addition, check your internet connection. it might be too slow to run S4. Check your wireless/cable connection or try restarting your modem/wireless. You can check your connection with this. Our recommendation is to have a cable connection over a wireless connection. You might need to update your drivers. If that doesn't work check that you have a sound output connected - Check for a jack in green (plugging in headphones is enough for testing). If you don't have a sound card or integrated sound on your motherboard, you can emulate the sound driver with a respective software but note that we don't support this workaround and we may not be able to help you using it. Restart your computer when you encounter this error. After that the game will start without this error message. In case you receive a banned messages from EAC ingame you were either using not allowed third party software to manipulate or exploit specific game features or not allowed macros that are meant to gain an advantage over other players. For more information, please read Terms of Services point 8 Prohibited Activities and Account Bans from Easy Anti-Cheat. You could be trying to log in during a maintenance. S4 has one most Tuesdays at 10AM CET. Depending on the timing of the "connection with the game server has been terminated" problem, please check our official Discord for the latest news. It is not possible to set a resolution from outside the game but there is an alternative. 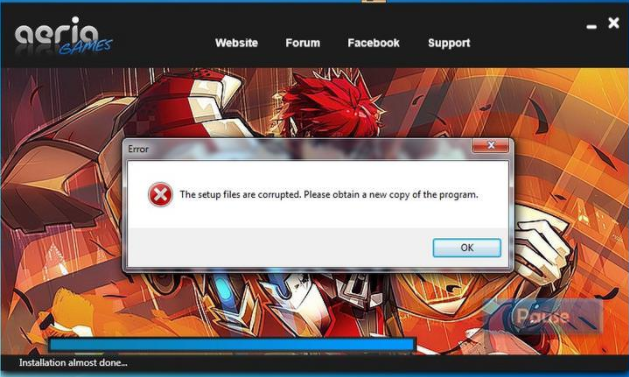 Go into your S4League folder under the path you have installed the game and delete the file “s4UserData.s4” to reset the resolution and all other ingame settings. Restart S4League and it will show your original combi level. S4 isn't optimized to properly adjust the screen dpi settings but there are two workarounds for that. 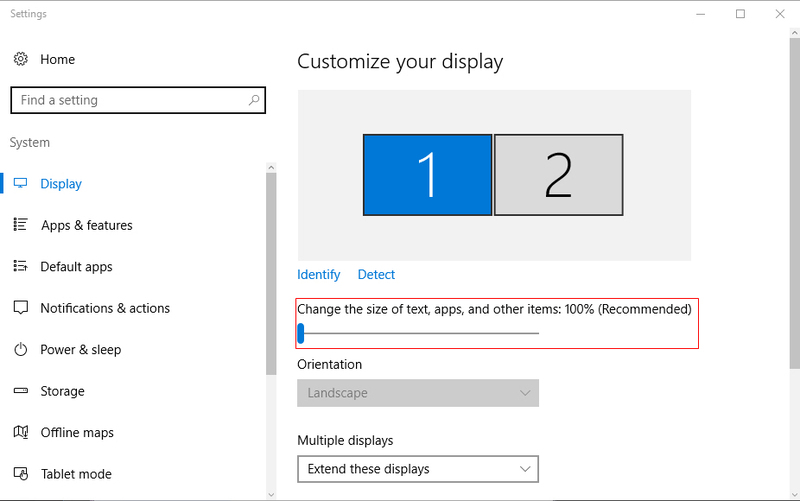 W7/8/8.1: Open the control panel > click on "All Controll Panel Items" > Display > change DPI to 100% > apply > restart your computer. 2. Edit the compatibility settings. Go into your installed S4League folder and right click on S4Client.exe. After that choose properties > compatibility > enable override dpi scaling behaviour > OK. The only downside of this workaround is that text fonts ingame may appear bigger while the rest of the user interface scales down correctly. It isn't always easy to change hardware but here are a few hints that you can take for using the capacity of your hardware to the fullest. Close all your background programs that you don't need to play and eventually disable them from autostart. For Windows 7 users: Press your Windows button on your keyboard + R together and type "msconfig" > got to the tab "Startup" > Uncheck everything you don't want to have running > Restart your computer. For Windows 8/8.1/10 users: Open your task manager by pressing ctrl + alt + delete > Task Manager > click on the tab "Autostart" > right click on the process you want to have disabled > click on disable > restart your computer. Another possible solution is to delete the file "s4UserData.s4" in your S4League folder to reset your resolution and other ingame settings. The game starts faster with a lower resolution than with a bigger one. Start the game with a game booster program to disable not needed windows processes and startups for playing. For example Razer Cortex GameBooster. Note: The disabled programs can still be started without issues. Disable them means to keep those applications from starting while the desktop is loading after computer boot. The Korean version of this game had these boosters implemented in their level up capsules but we didn't receive it on our version except for the updated capsule information. This issue sometimes happen when you level up in a room with the friendly mode restriction. To recieve the missing capsule, send a ticket to our customer support team here and they will send it into your inventory directly. This error means that you haven't patched your game yet. 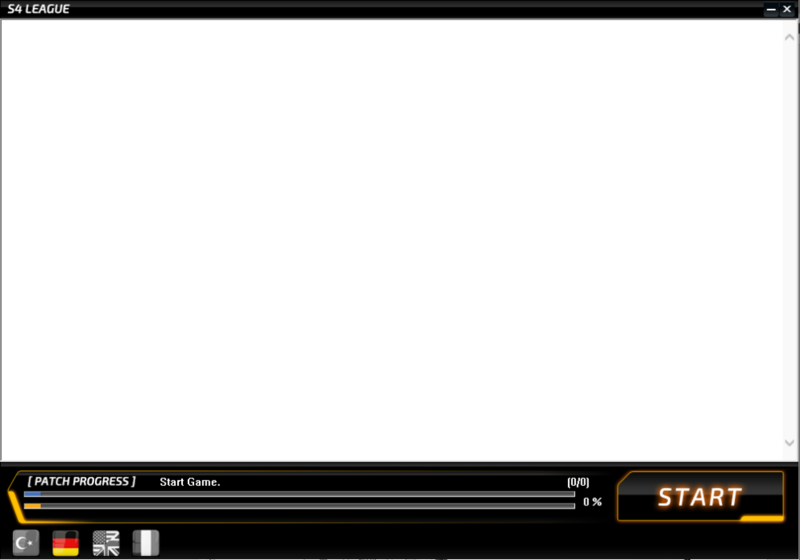 Please restart and wait few seconds on the launcher until it starts downloading the latest patch/patches. This means that your graphic card isn't working with your current ingame resolution. Delete the s4UserData.s4 file in your S4 League folder and experiment until you have found your optimal resolution to play without getting a black screen. Syncronize your system clock with the internet and confirm that the right timezone is being used for your location. This error message appears, when certification files have been deleted from the EAC directory inside the game directory. In some cases, the deletion of other files can be the cause of this error as well. Verify that the quarantines of your antivirus didn't delete anything from inside the S4League game directory. Reinstalling the game will solve this error. 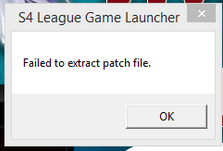 This error appears when one of the S4Client files are missing from your S4League game directory. Verify that the quarantines of your antivirus didn't delete anything from inside the S4League game directory. Reinstalling the game will solve this error. Your game might have taken too long to start. AeriaGames/Gamigo is currently working on improving the start time speed of the game, since we have received Easy Anti-Cheat. For the mean time, please try the mentioned suggestions above in "My game is taking too long to start". Press windows + R > type services.msc > scroll down to Easy Anti-Cheat > double click to open the settings > change Start Up type to 'Automatic' > Ok > Restart your computer. Firstly CMs and GMs cannot help you with AP related problems. Billing is a different department and has a different waiting time - up to 72 hours from when a new ticket is sent OR when you replied to an existing ticket. When the details of your accounts are different. By further questions, new technical issues and assistance, you can contact [GM]Heiliger directly in private message or any other Game Master within your reach.